Just a quickie this morning....I'm in a rush, but wanted to share this while it's still available. 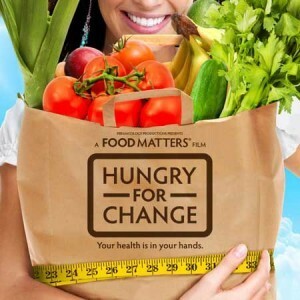 Liz put me onto the documentary, Hungry for Change, which can be viewed online for free up until the 31st March. It's well worth putting aside 90 minutes to watch it. I watched it last night, and while I didn't really learn anything new, it reinforced some of the main principles of healthy eating for me, and reminded me of the reasons why I need to clean up my act in one or two areas. If you're confused about what constitutes healthy food, or how to improve your overall health through nutrition, this might help. There's also a handy one-page 10-step action plan that you can download, so you remember the main points. One of the big things that appealed to me was that it doesn't just focus on the physical side of healthy living. It also discussed dealing with stress and pursuing happiness through self-love. 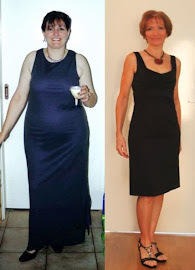 As anyone who's ever tried to lose weight, change the way they eat, or make other major changes to their lifestyle would know, the emotional side of things is just as important as eating the right foods and exercising. My conclusion? It's not rocket surgery. If we all stopped shovelling "health foods" like processed bars, shakes and other packaged crud into our pie-holes and just ate more freaking veggies, we'd be a lot better off.